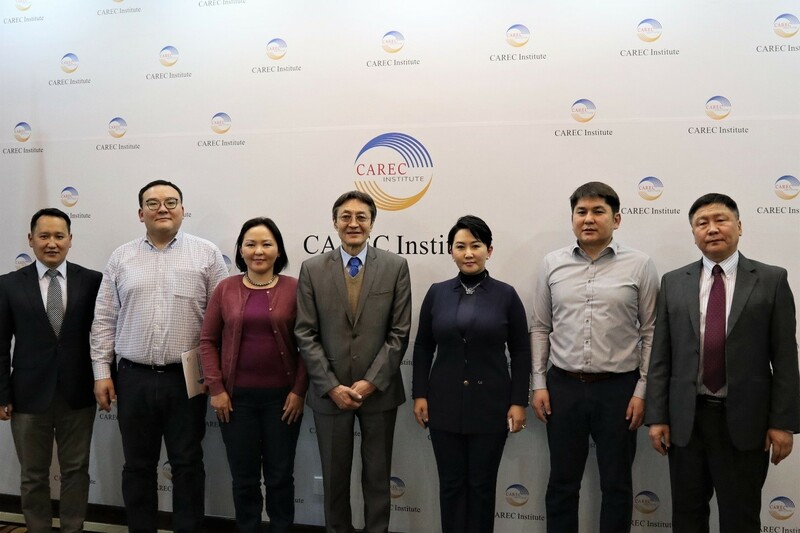 The Director introduced CAREC Institute’s mission and highlighted Mongolia’s role and participation in the CAREC Institute’s activities. The Deputy Minister appreciated support of the CAREC Institute and reiterated further cooperation in strengthening the Institute as a regional knowledge center. The Mongolian delegation included Economic and Foreign Policy Advisors to the President of Mongolia and representatives from the Ministry of Foreign Affairs. The Deputy Minister visited the CAREC institute during her mission to Urumqi, where she met the Deputy Chairman of the Xinjiang Uyghur Autonomous Region of PRC.